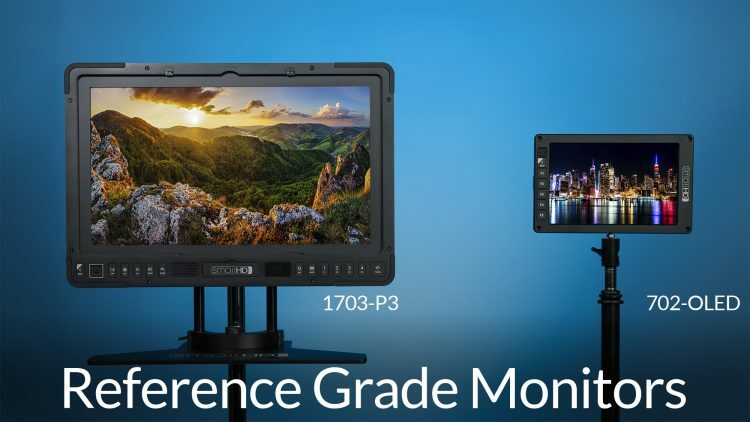 SmallHD just announced a new SmallHD Reference Grade 17-inch Monitor for productions requiring cinema grade colour and also a new 702 OLED 7-inch monitor. According to SmallHD their new 17-inch 1703-P3 is their most colour accurate monitor yet achieving 100% coverage of the DCI-P3 colour space. See the video below to get a better idea of what the new 1703-P3 is capable of. The new SmallHD 1703-P3 offers a 17-inch Full HD (1920 x 1080) IPS LCD display encased in a rugged milled aluminium chassis. The 1703-P3 offers incredible colour accuracy with its 100% DCI-P3 colour space support. Users can input custom designed 3D LUTs and also use up to three HD scopes at the same time. The new monitor supports Waveform, vector scope, false colour and even an image control feature called "Colour Picker" to show raw pixel values from the displayed video. 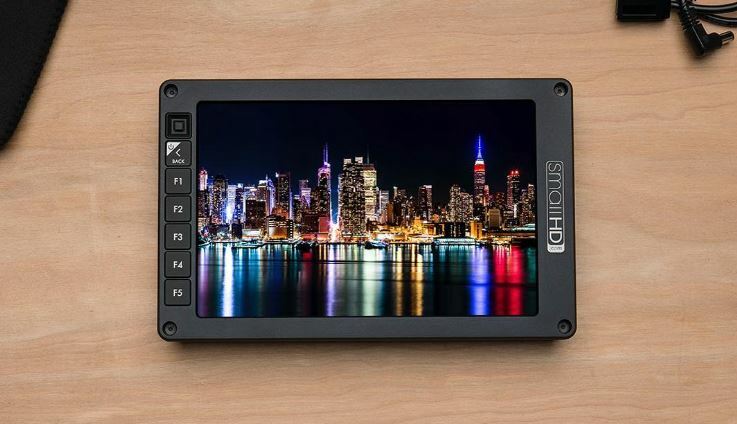 The new SmallHD 1703-P3 production monitor seems like a great option for small studios or production companies looking for more colour critical monitoring solutions. Currently the monitor is priced at £3495 + VAT and is scheduled to ship within a week. To pre-order yours do get in touch with our Sales team at 0208 977 1222. The SmallHD 702 OLED is the latest addition to the on-camera range of compact monitors from SmallHD. The new monitor features a stunning 7.7inch 1280 x 800 resolution OLED screen with a pixel density of 191ppi. The 702 OLED features 5 assignable user buttons and of course all the rich professional features that users are used to from the popular 502 and 702 series monitors. You get waverform, scopes, peaking, zebras and of course the super easy to use and versatile PageBuilderOS. 3D LUTs are also supported. The new 702 OLED can be powered by either Canon LP-E6 batteries of the popular Sony L series NP-F style. The 702 OLED is currently available to order for 1,395 + VAT and is expected to ship in early March.